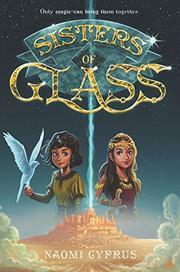 A tale of two girls fighting for justice and truth in a Middle Eastern–inflected world of magic. Nalah Bardak, or, as the other magic-using Thauma kids call her, “No-Luck” due to her clumsiness, helps her struggling father sell glass trinkets at the New Hadar market. The Hokmet government strictly forbids any magical activity, so most Thauma live quietly, trying to sell their wares inconspicuously. Her friend Marcus Cutter fares better, as his rich family has connections that allow them to continue Thauma craftwork. When Zachary Tam, an old family acquaintance, asks the Bardaks to re-create an illegal mirror, Nalah secretly takes the commission, hoping to earn enough to start a new life far from Hokmet rule. As soon as Tam receives the mirror, however, he kidnaps her father and escapes through it into another realm. Crossing over in pursuit, Nalah and Marcus find a world eerily similar to their own. There, Nalah meets Princess Halan, a decidedly powerless royal who dreams of life outside her palace walls and whose story unfolds in alternating chapters. Under extreme circumstances these two must work together to reveal the truth of their worlds and restore peace. Cyprus creates in Nalah and Halan two appealing and independent female protagonists; their mirrored worlds are a fresh alternative to familiar medieval Europe–esque fantasylands.